Fall in love with the Barbican this Christmas. A true gem in Plymouth’s crown, the historic Barbican sparkles even more during the festive season. It offers a unique shopping experience to all visitors and is packed with excellent eateries, perfect for all sorts of ‘get togethers’. 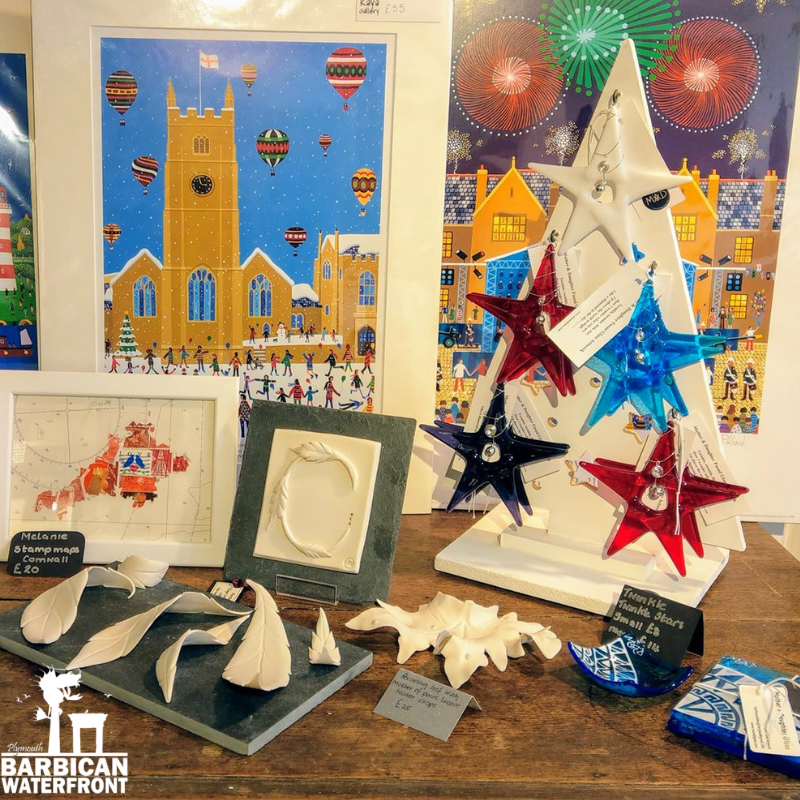 But the Barbican is so much more than just a bunch of places to see, it oozes with character, a tight-knit community and businesses passionate about everything they do. 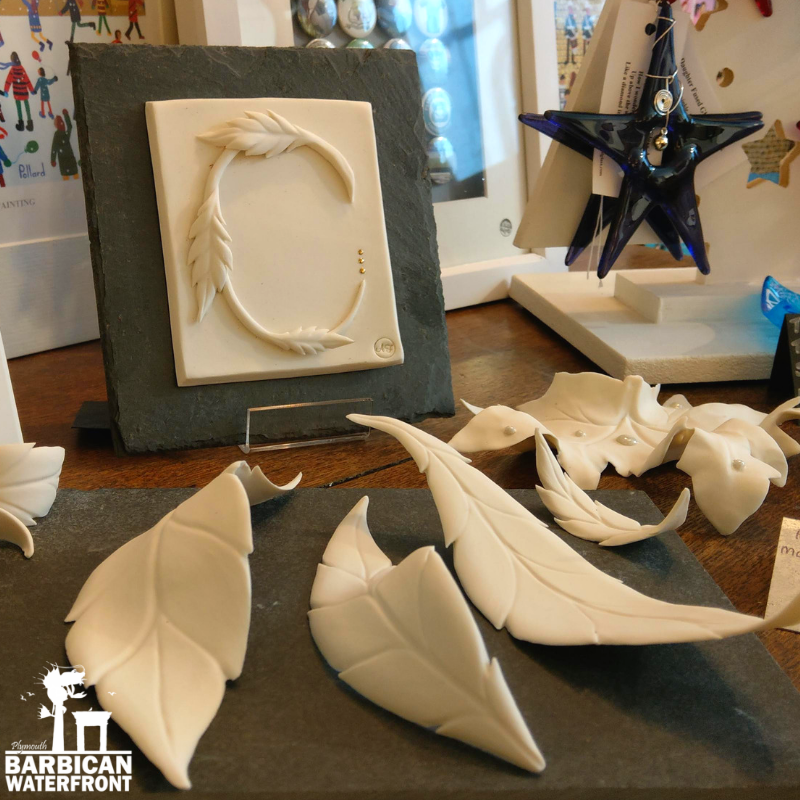 In this feature, we want to celebrate what’s best about the Barbican, give you an insight into what’s on offer and introduce some of the local traders who make this place unique and enticing. We hope it encourages you to try out somewhere new this Festive season or give inspiration for the perfect Christmas gift. 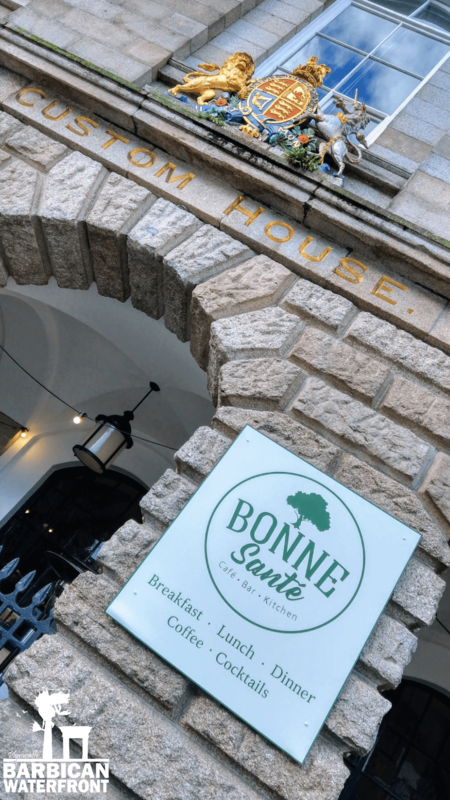 Housed within the majestic Custom House, right beside the historic harbour is the hustling and bustling health food haven – Bonne Sante. This trendy cafe, bar and kitchen opened in spring 2018 and has very quickly became the Barbican’s healthy eating hot-spot. Whether, you require low saturated fat, high protein, superfoods, gluten-free or vegan treats – Bonne Sante is the perfect place to get just that and so much more. The restaurant’s entire menu is also gluten free, putting an end to having to choose out of one or two menu options, missing out on bread or skipping the dessert if you are gluten intolerant or just follow GF lifestyle. The decor is fresh and modern, yet incredibly cosy and welcoming – just perfect for an impromptu breakfast, coffee catch-up, business meeting or dinner and cocktails. The restaurant also boasts with two outdoor seating areas, ideal for a spot of Al fresco dining. 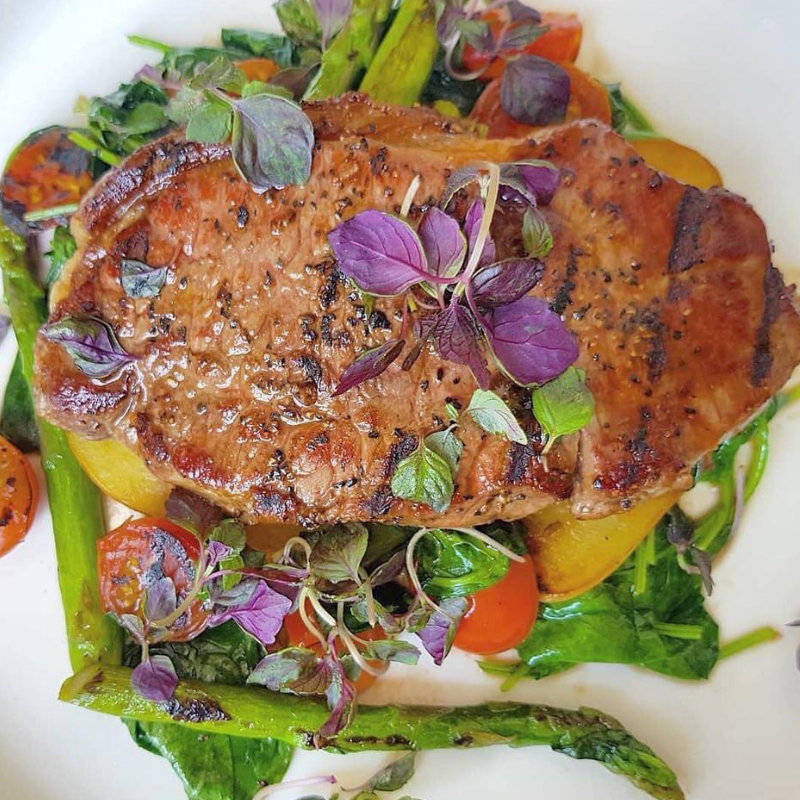 Their vision is to “provide a relaxing health food haven for the the nutritious food conscious diners, to drink, dine & unwind, whilst enjoying a fruitful selection of freshly cooked food and carefully selected beverages”. 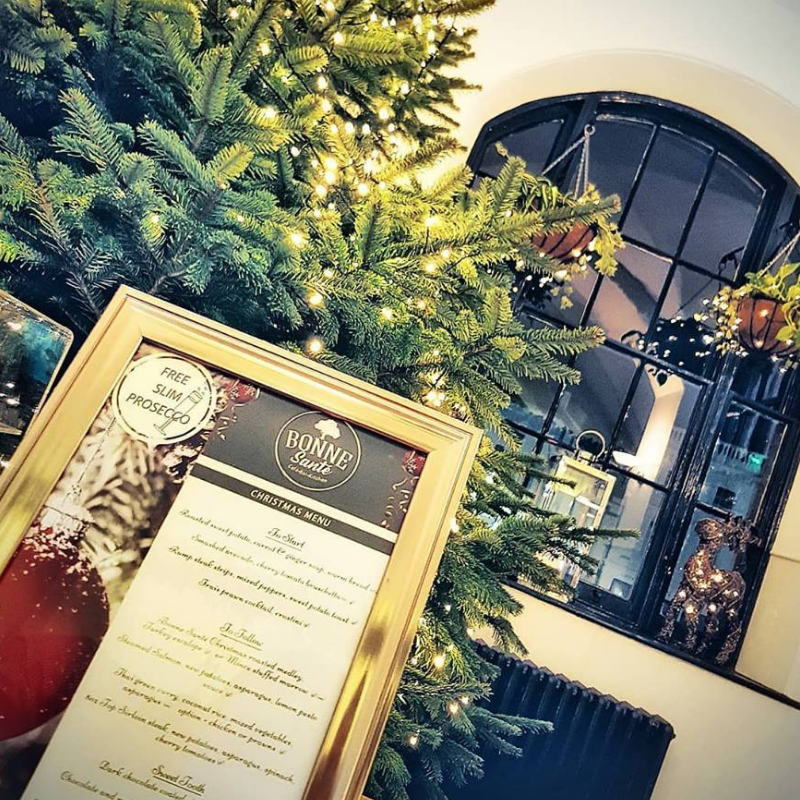 With the Festive season just around the corner, we thoroughly recommend taking a look at their Christmas menu with a difference. Bonne Sante’s take on the traditional Christmas dinner sounds simply divine. What’s more, there are plenty of choices to cater for all different tastes and diets. If you fancy a couple of cocktails after, you’ll be pleased to know that not only do they offer a 3 for 2 deal*, but also all their cocktails are under 120 calories – that’s a lot less than your standard Saturday night Margarita. 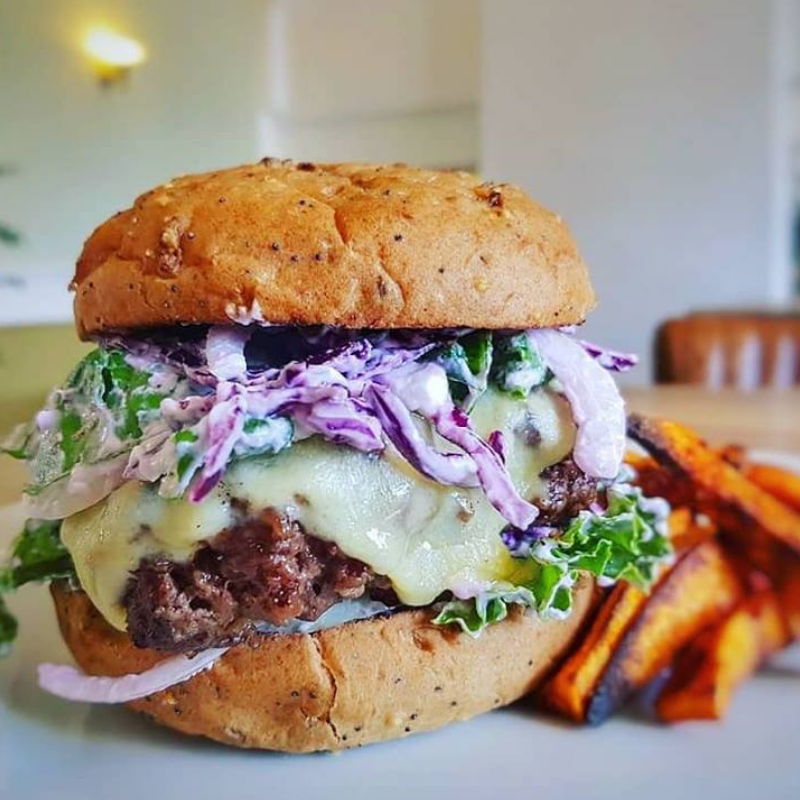 Do make sure you give them a follow on their social media channels, but be warned, you can expect a fair bit of mouth-watering, tummy-rumble inducing, hunger-enhancing photos straight from their kitchen. Photographers heaven in the heart of Southside Street. Tucked away inside the popular “House that Jack Built” – Soperfect Images is every photographer’s idea of heaven. Whether you’re an amateur, a pro or a collector, there is plenty for you to discover inside. 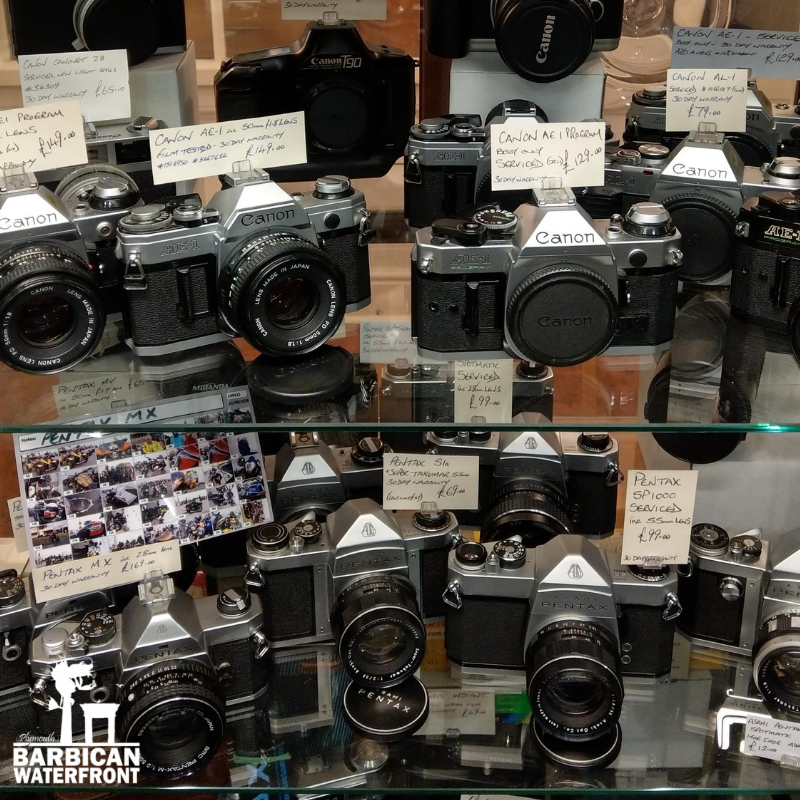 Russel Soper, the owner of the shop and a professional photographer himself has an ever growing collection of over 200 digital and vintage cameras, all in full working order. 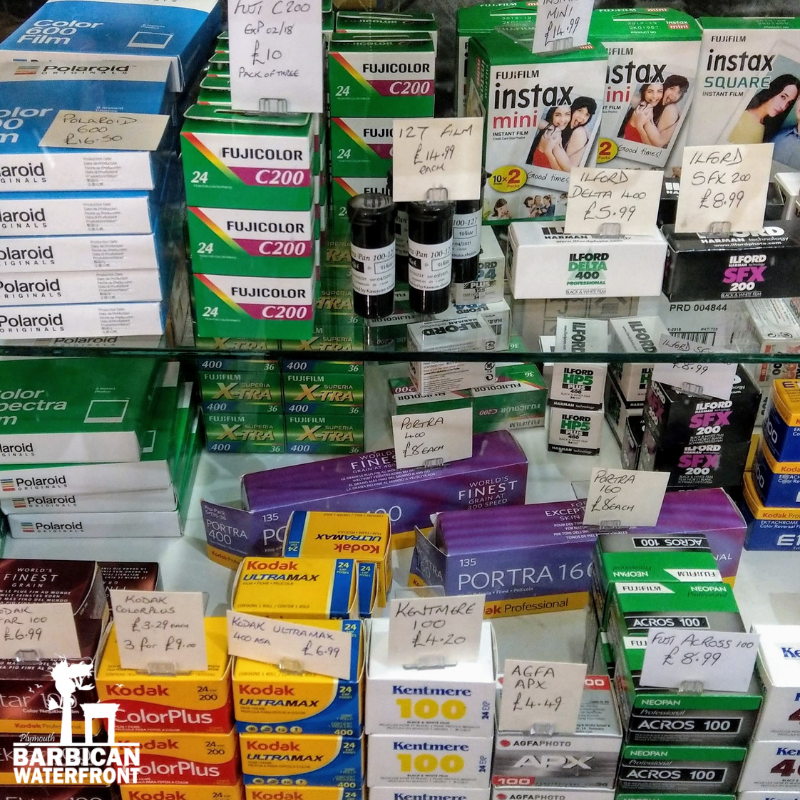 The shop also sells a variety of accessories, from film, straps, cases and memorabilia to a great selection of camera lenses. Each camera purchased by Soperfect Images undergoes a thorough clean before it goes on the shop shelf, it is serviced and tested to ensure that when you take it home, there are no nasty surprises and that the equipment you get, performs at its best. If you are passionate about photography and would like practice or learn how to shoot with a vintage camera, Soperfect Images offer weekly Sunday taster sessions. 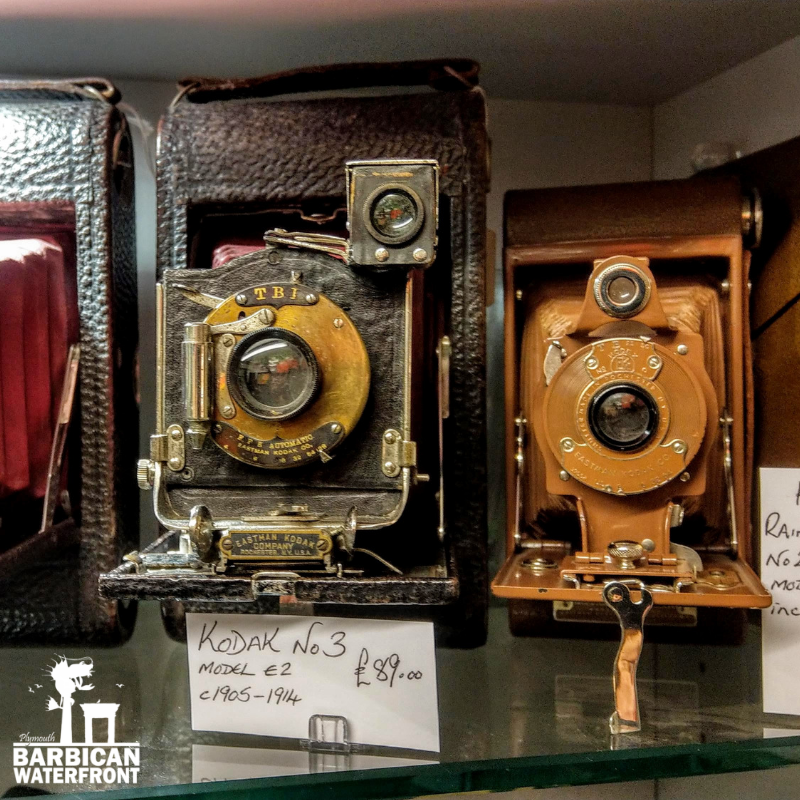 For just £35 per person, you will be supplied with a camera, anything from early 1900’s to 1980’s, a roll of film and all the guidance and tips from Russel. If this is your hobby, and you are looking for a friendly group where you can share your stories, you are welcome to join the monthly Old School Camera Club – for enthusiasts of film photography. You can contact Russ for more details and with any questions. 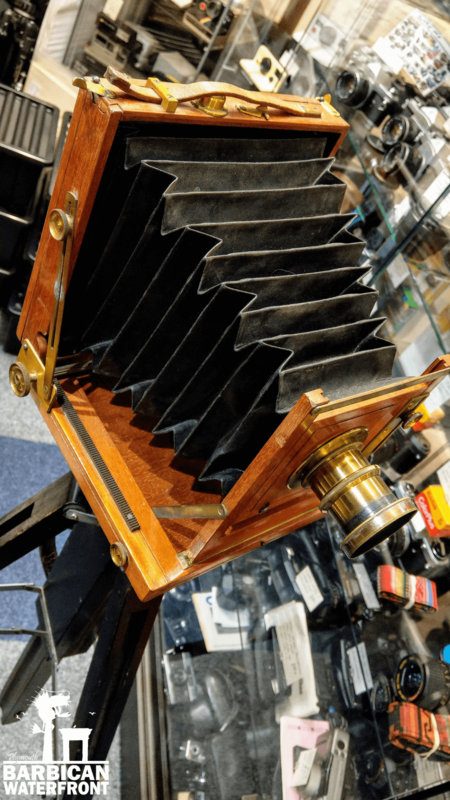 As well as film cameras, there’s also a superb collection of modern digital pieces and of course the timeless Polaroids. 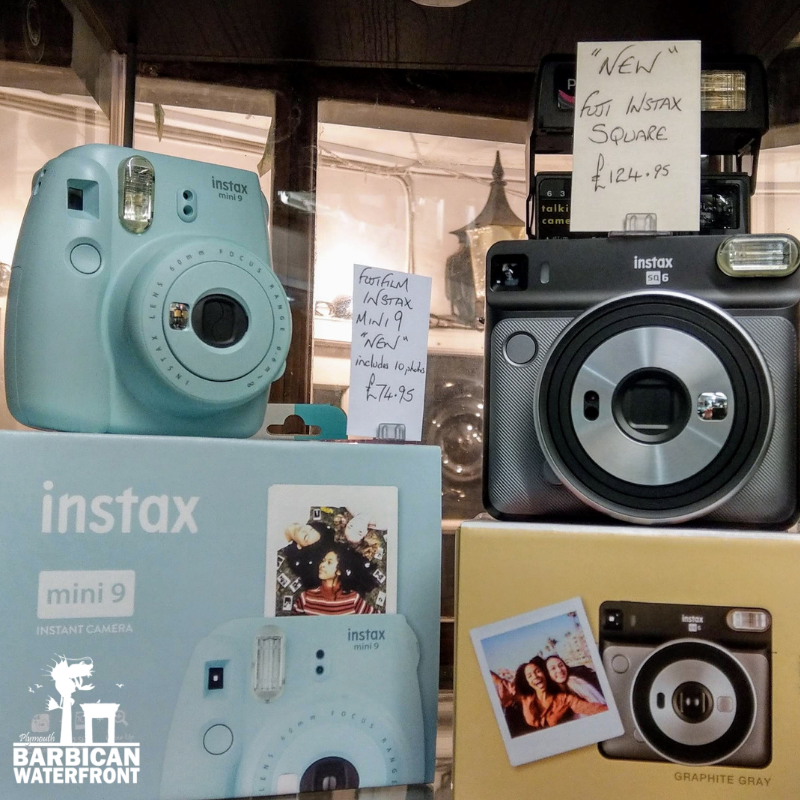 You can find some of the latest gadgets and this Christmas’s most wanted gift for teens – Instax cameras. Don’t forget to follow Soperfect Images on social media for news, tips and of course – beautiful photos. 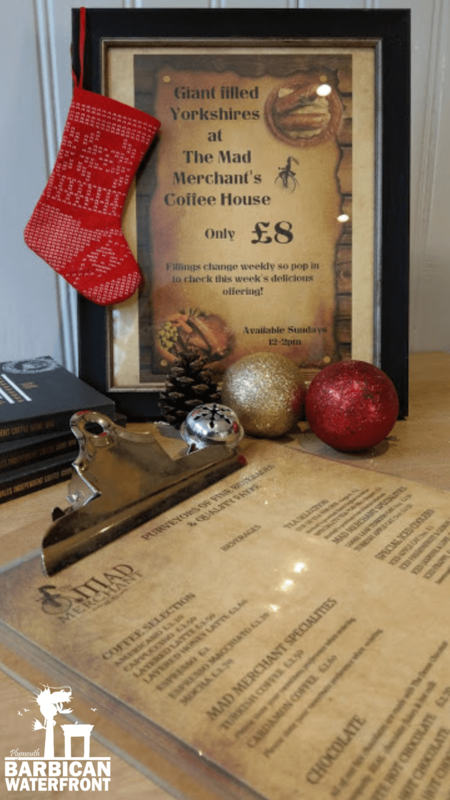 Nestled between the Tudor buildings of Plymouth’s oldest street – New Street, is the quirky Mad Merchant’s Coffee House. 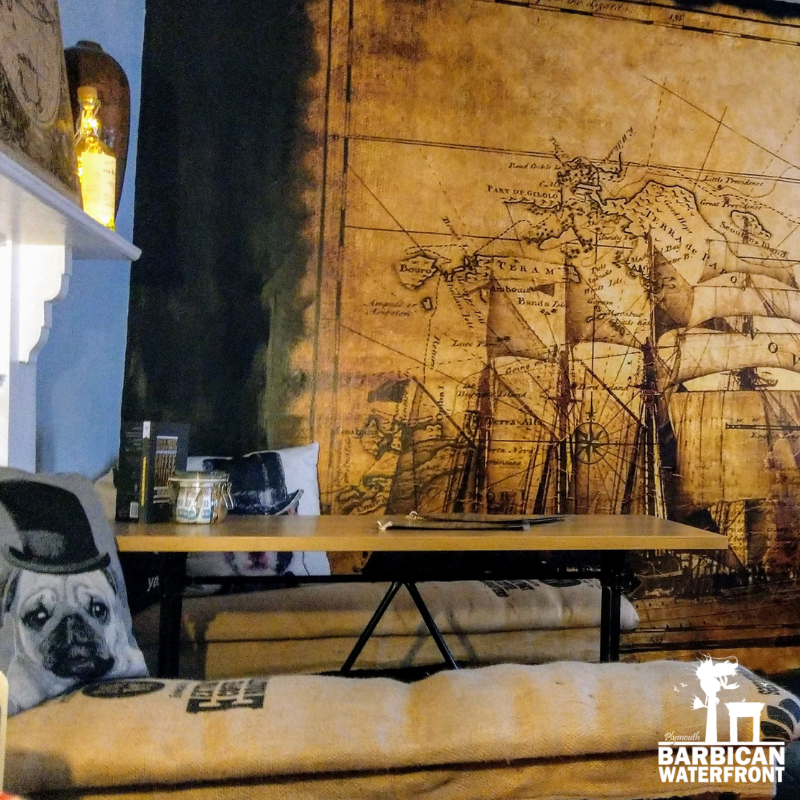 The friendly owners – Amanda and John, who also run the neighbouring Kapadokya Turkish Restaurant, took over Mad Merchants just a few months ago and have since put their own stamp and injected their love of travel and adventure into the cafe. 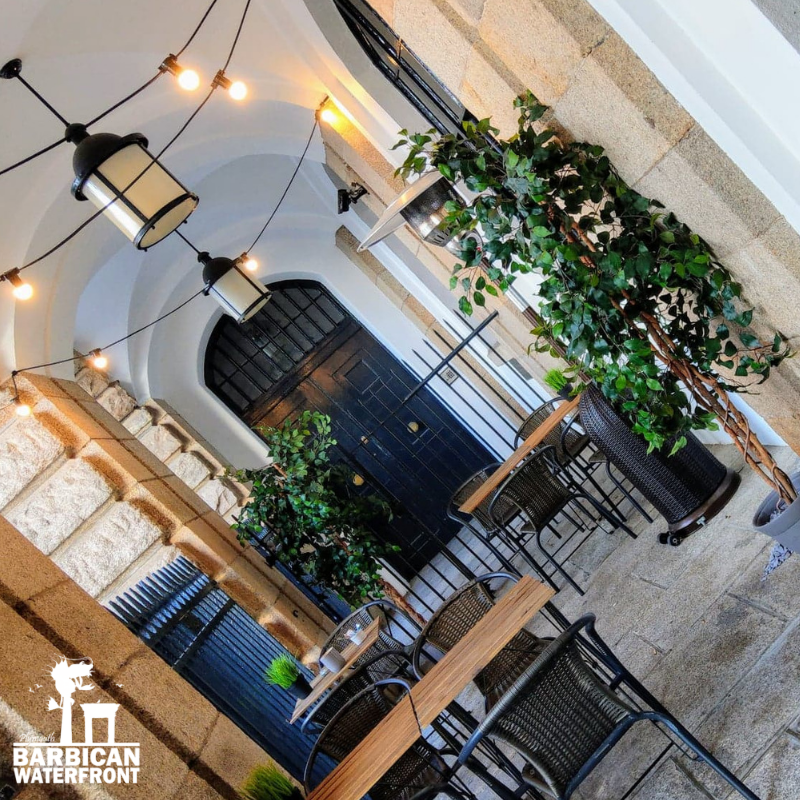 The upstairs seating area oozes with cosines and comfort, and the decor throughout is full of quirky features that create hundreds of little focal points that complement the age and character of this building. 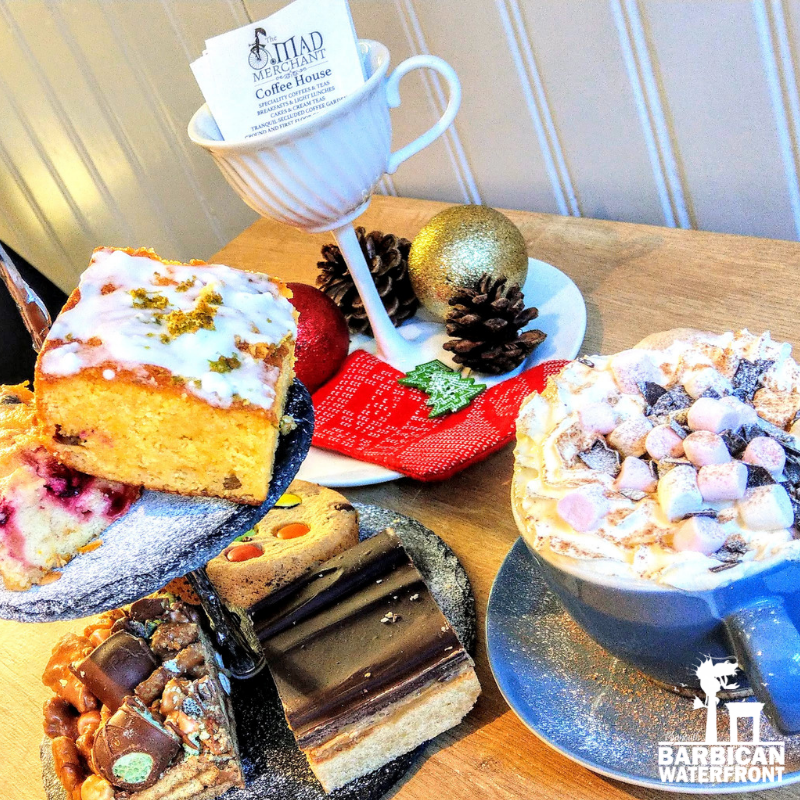 Whilst coffee fans can be sure to get the perfect cup in here, the Mad Merchant also offers a wide selection of tea and hot chocolate with plenty of fresh cake and scones to accompany. If you’re feeling hungry, their brand new winter menu has a great variety of meals and nibbles on offer. 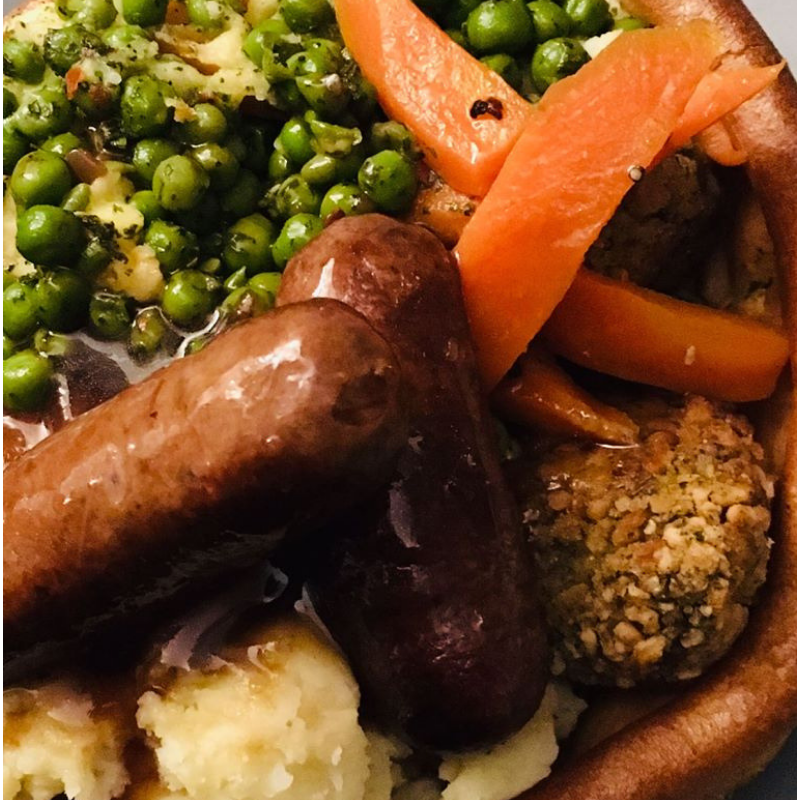 Sundays at Mad Merchant are all about perfectly crispy Giant Yorkshire Puddings with fillings changing regularly and a Christmas dinner one coming soon! New addition is the filled cob – a sourdough bread bowl filled with a homemade chilli, soup or bean and tomato stew. Sit back, relax and watch the world go by or grab a quick caffeine boost on the go and a scrumptious cream tea in a box if you feel like embracing the great outdoors. 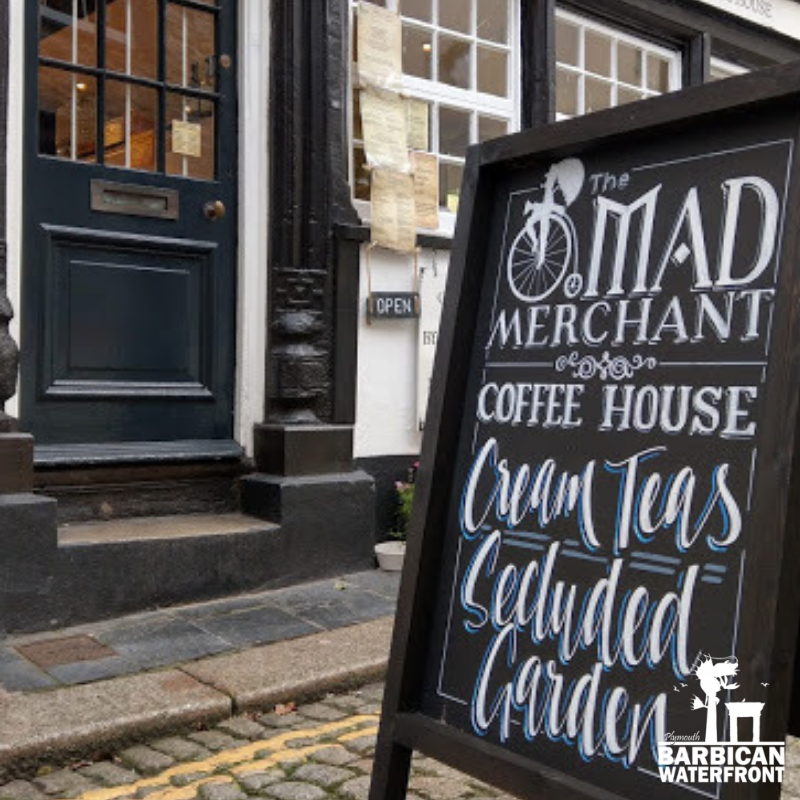 In warm weather, you can also enjoy your food and drinks in the Mad Merchant’s enchanting garden which neighbours with the historic Elizabethan Gardens. Follow them on their social media channels to see what’s new. 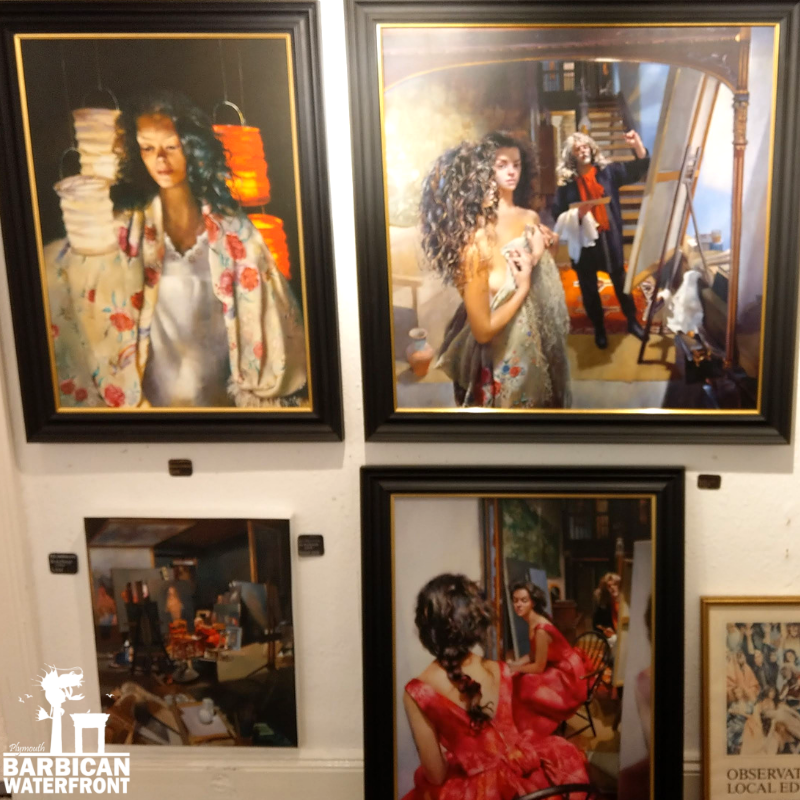 This long standing and one of Barbican art gallery is run by the friendly owner – Chris Warne and his family. Housed within a charming Tudor property and located right on the main road, Southside Street, it’s easy to find and hard to resist a visit once you spot the diverse range of artwork on show in the gallery’s windows. 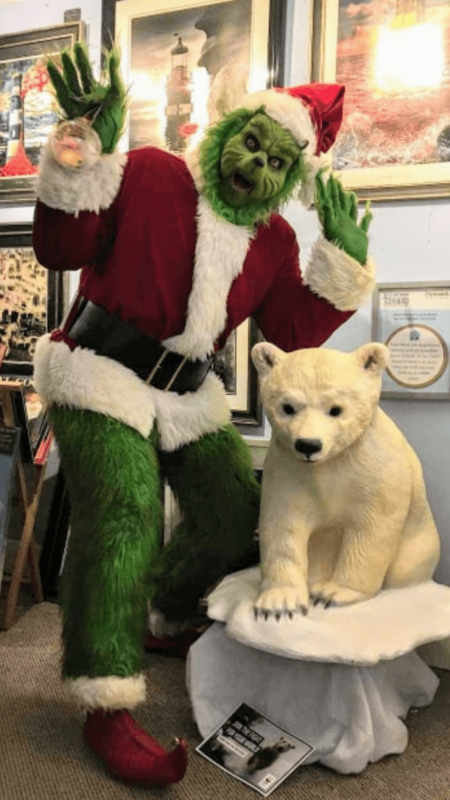 Families will be in for a treat this winter as Kaya Gallery is taking part in the Polar Bear Explorer Trail – so do make sure you pop in, grab a selfie with their friendly polar bear and have a browse for some unique Christmas gifts. 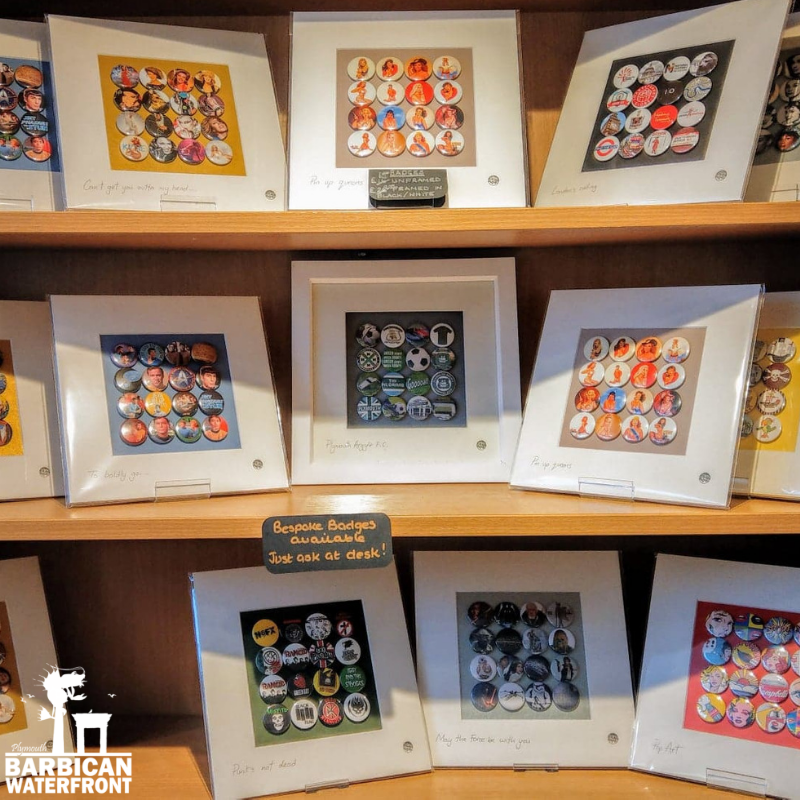 From Lenkiewicz and Pollard to beautiful glass work from M&D Glass, quirky badge pictures, framed stamp maps and gorgeous porcelain foliage pieces – there’s something here for everyone. Chris tells us that the colourful badge artwork has been a very popular choice with shoppers. The selection of ready-made pieces is just fantastic, but if you can’t find what you like, you can request a commission to be made of any film, celebrity, comic book, football team, musician/genre or favourite theatre production – the choice is endless. Unframed badges are just £15 and box framed one’s only £25 with bespoke pieces available at extra charge. You can keep up with all the news straight from Kaya Gallery via their social media channels where they frequently host competitions and post updates on any upcoming exhibitions or new artist announcements.